Happy Easter! 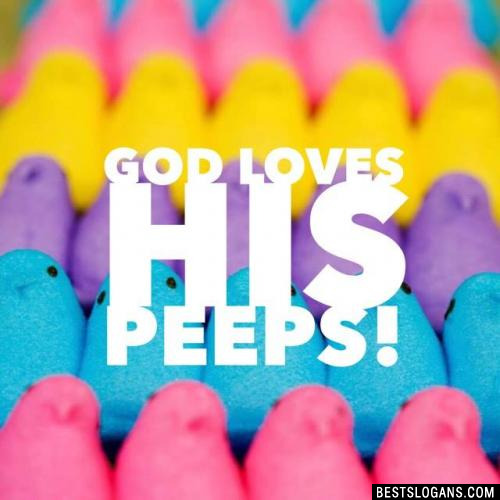 Easter campaign slogans & quotes for all - church, christian, sales, safety, bank, real estate, funny, easter bunny & more! Easter is the celebration of the resurrection of Jesus Christ in the Christian religion. Here are a few more facts that you may not know about the reason Easter exists. Americans spend $1.9 billion on Easter candy. Thats the second biggest candy holiday after Halloween. Easter takes place on a Sunday, after the 40-day period called Lent. Lent is referred to as a time of fasting, but participants focus more on giving up one significant indulgence. Holy Week is the celebrated during the week leading up to Easter. It begins on Palm Sunday, continues on to Maundy Thursday, Good Friday, and then finally, Easter Sunday. The term Easter gets its name from Eastre, the Anglo-Saxon goddess who symbolizes the hare and the egg. Easter has become one of the most profitable holiday seasons of the year. After Christmas, it's perhaps the biggest opportunity to kick-start a marketing campaign and get your company's profits leaping. Have a little fun with your Easter marketing! There are some many different creative marketing techniques you can use such as hide Easter eggs on your flyer and tell people to text the number of eggs they find. 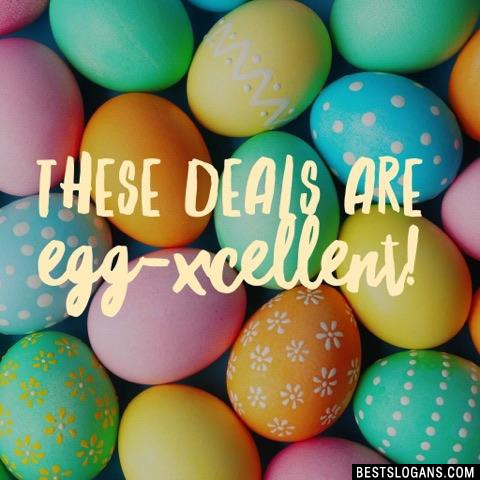 1 Start your Easter egg hunt with big discounts! 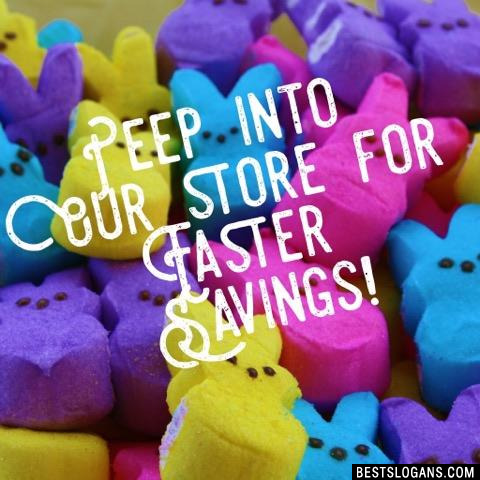 Peep into our store for Easter savings! 3 Speggtacular savings all weekend! 4 Come see our EGGstra special deals! 7 Easter sale... hop on over! 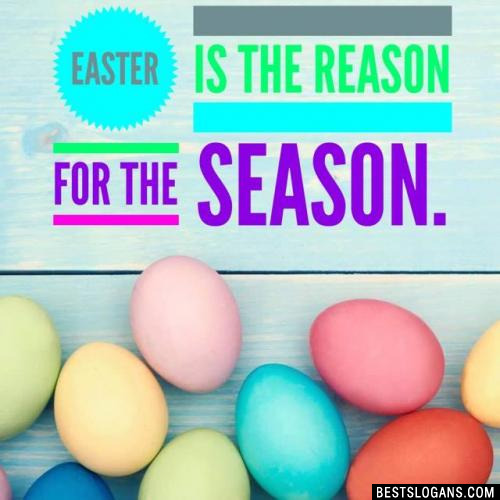 Easter is the Reason for the Season. 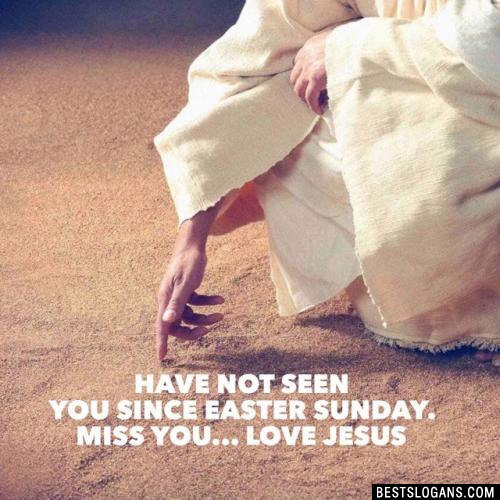 12 Without Good Friday, Easter would be impossible. 14 Easter is the demonstration of God that life is essentially spiritual and timeless. 15 He Lives! Jesus Lives today. 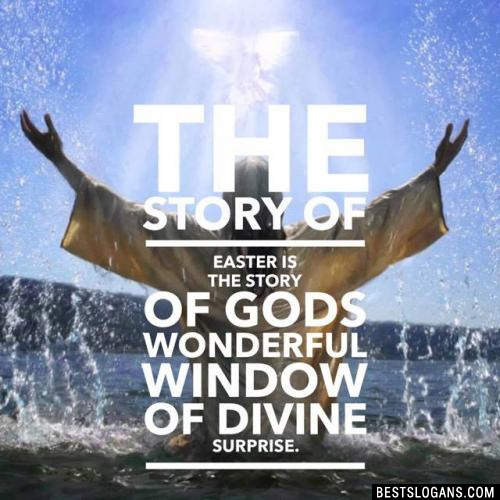 The story of Easter is the story of Gods wonderful window of divine surprise. 17 Come in today and beat the Easter crowd. 18 Because the tomb is empty, the church should be full. 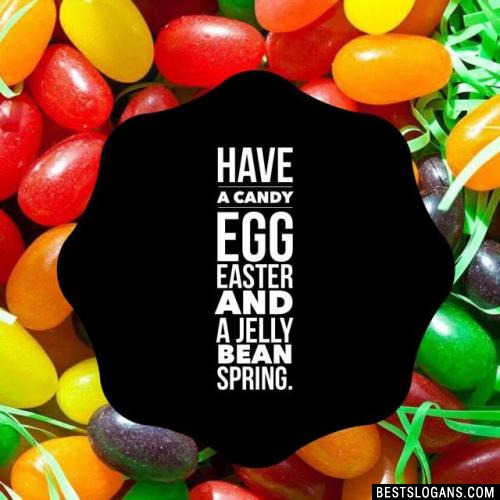 Have a Candy Egg Easter and a Jelly Bean Spring. 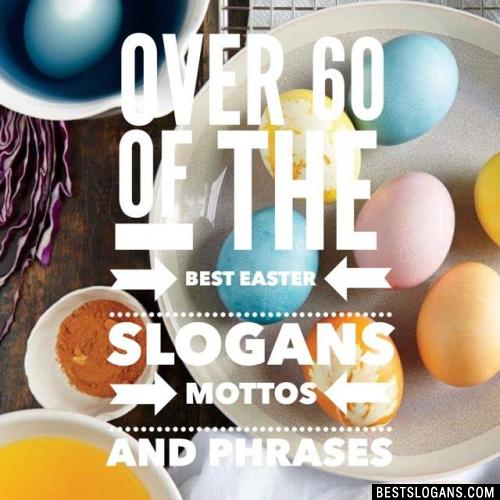 Can you think of a good Easter Slogans we're missing? Or come up with a clever one of your own. Please share below.